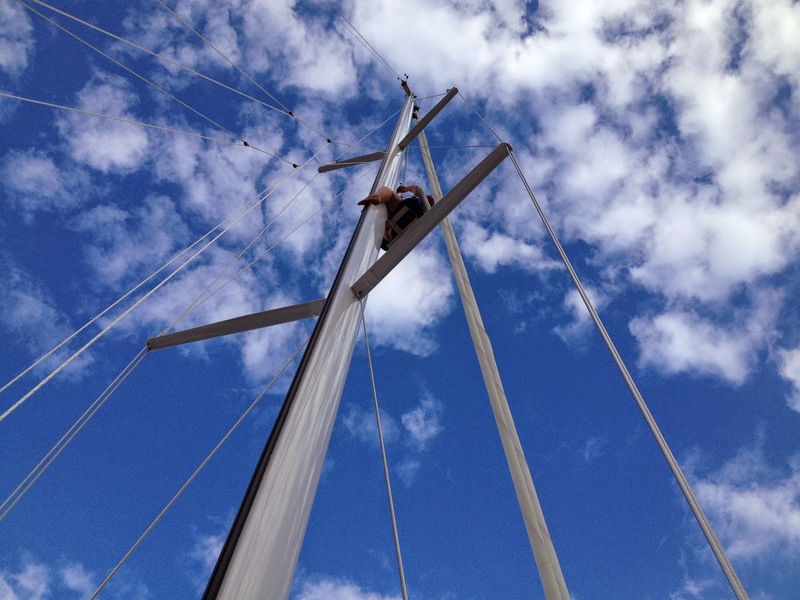 Last weekend, we had an issue while raising the main sail out in Boston Harbor. And by "we" I mean "Bob". 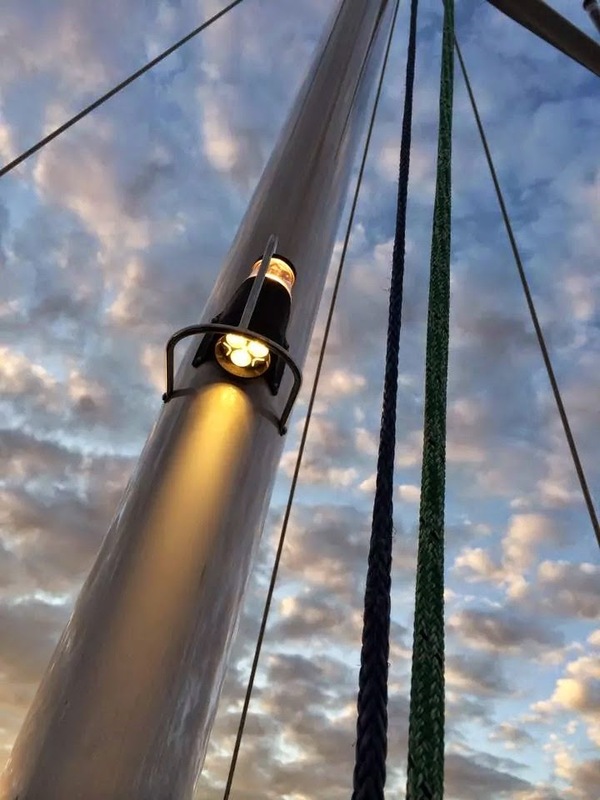 The halyard had gotten around the front of the mast and got wrapped around our combination Steaming / Deck light fixture. 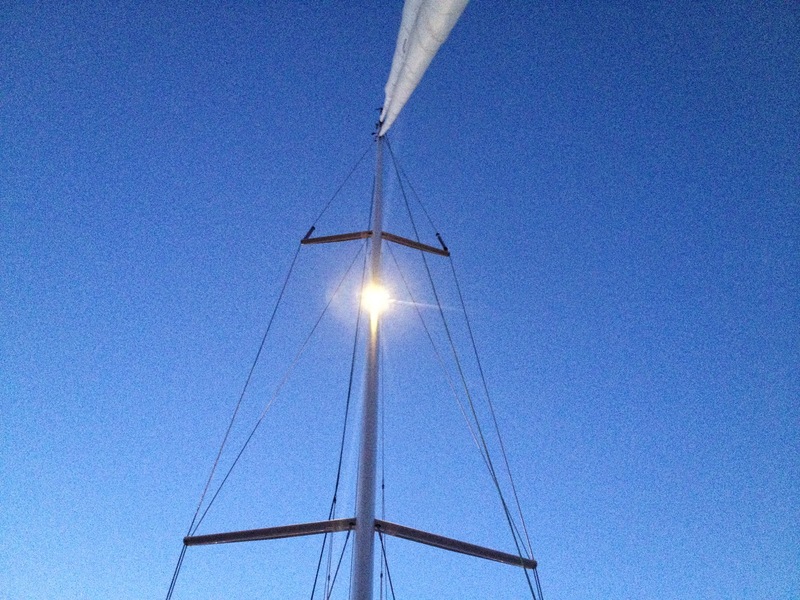 When the sail got up to that height, it sheared the fixture right off the mast. Our good friends Emily and Greg have a Bosun's Chair and the came over to help us climb to examine the damage. The worry was that the wiring inside the mast was damaged which would have been a very bad thing. Emily went up and had a look. Then Bob went up. This was Bob's first time aloft and he is not exactly a great fan of heights. Linda arrived from work while Bob was up sitting in the chair. Of course she wanted a turn too. You can see from these photos, who is more comfortable hanging 40 feet in the air. 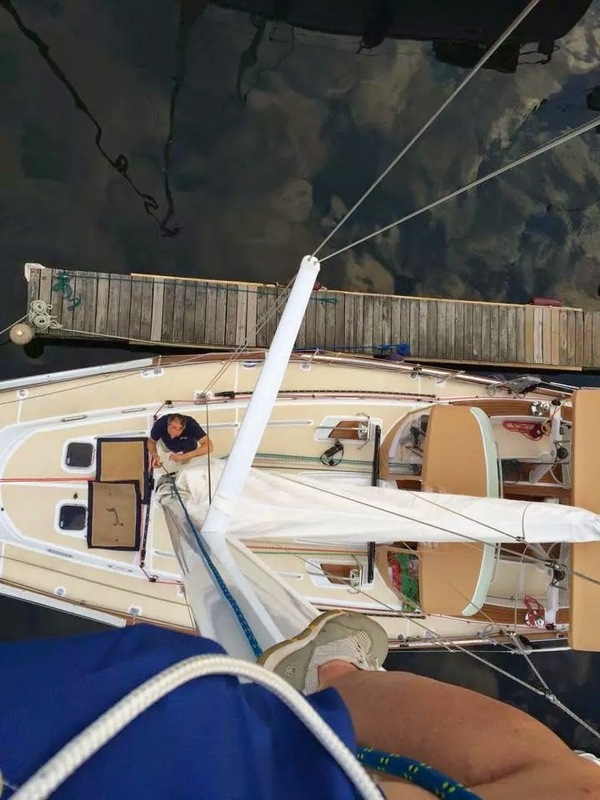 The wiring in the mast is fine. We tested everything with a volt meter and it's all good. We ordered a new light from Defender, and while shopping for that, noticed that they also make a stainless steel guard for it. Hey - let's get one of those too! Bob was all set to go up in the chair. Really he was. Sure it was going to require a shot of Gin first but still. But Linda really wanted to go up and do the repair so that she could expand her CV and add this to her Fuel Systems Repair a few weeks ago.